At Fiacon we provide all your property service needs - painlessly. 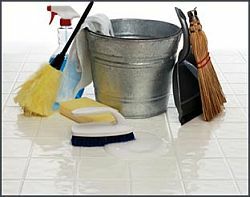 We understand that cleaning and other property services should be the background activities. These activities should be a set and forget proposition. We also know that we should not have to police or project manage our Service Teams. After engaging FIACON, property services will become your lowest priority as it is our highest priority. If you would like to join our growing list of satisfied clients, call NOW to discuss how Fiacon can best partner with your company to provide tailored solutions that meets all your Property Service needs. 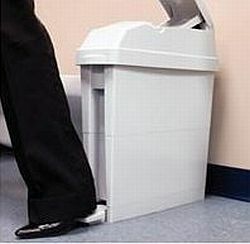 "Our Business is Cleaning Your Business"
Fiacon - Sanitary Disposal Bins Liverpool strives to go the extra mile giving you more than you expect. We are committed to doing exactly what we quote – a complete service on a weekly basis. Our personal approach is intrinsic to our company philosophy of making each and every customer feel special. Likewise, our work ethic and quality standards are second to none. We can provide Property Service on a National basis. How do we make it a "painless" experience? We self audit and performance manage our Service Teams while they're on the job. We minimise contact time required between the client and our service teams. Rather than needing to be told, our Service Teams are proactive in identifying all regular requirements. We have a comprehensive Health & Safety Management System. We can provide our Property Services on a National basis. CALL US NOW FOR ALL YOUR PROPERTY SERVICE NEEDS IN LIVERPOOL! The Liverpool Community Guide is your online guide to the City of Liverpool . The City of Liverpool is located in Greater Sydney, New South Wales, Australia and includes the local suburbs of Anzac Village, Ashcroft, Austral, Badgerys Creek, Bringelly, Busby, Carnes Hill, Cartwright, Casula, Casula Mall Shopping Centre, Cecil Hills, Chatham Village, Chipping Norton, Cross Roads, Edmondson, Edmondson Park, Green Valley, Greendale, Greenway Park, Hammondville, Hammondville East, Hargrave Park, Heckenberg, Hillview, Hinchinbrook, Holsworthy, Horningsea Park, Hoxton Park, Ingleburn Military Camp, Ingleburn Village, Kemps Creek, Kookaburra, Liverpool, Liverpool Military Camp, Liverpool North, Liverpool South, Liverpool West, Liverpool Westfield, Luddenham, Lurnea, Miller, Moorebank, Moorebank Village, Pleasure Point, Prestons, Rossmore, Sadleir, The Cross Roads, Voyager Point, Warwick Farm, Wattle Grove, West Hoxton, & surrounding areas.